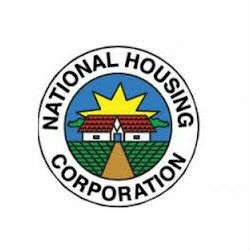 The National Housing Corporation (NHC) has officially announced the project to build two new satellite towns in Meru and Arusha-Rural Districts where it owns more than 1000 acres of land. In 2011, 430 hectares had been acquired at the cost of TZS 8.6 Billion (USD 5.4 Million) under the newly established firm Arusha District Council Trust Company. To date, NHC Director General Mr Nehemia Mchechu explained that 600 acres are located in Burka area of Arusha-Rural and 300 acres in Meru District. These areas will provide land for the two proposed satellite towns where feasibility studies have already been undertaken. The project will boost the District Council’s revenue collections. The housing plan comprising hundreds of residential houses and shopping malls is also meant to provide low-income earners with ultra-modern residential houses. The houses will be for rent or sale. NHC is state-owned and is Tanzania’s oldest public real-estate developer. It is operated under the Minister for Lands, Housing and Human Settlement Development. The present Minister, Dr Anna Tibaijuka inaugurated new residential apartments in Levolosi, Arusha City. Located in the North of Tanzania, Arusha is the pearl of Tanzania’s tourism and diplomatic activities. It is a dynamic urban centre which serves as the capital for the East African Community. The proposed new cities represent the biggest project the Arusha region has ever embarked on. A lot of support from development partners in and outside the country are needed.